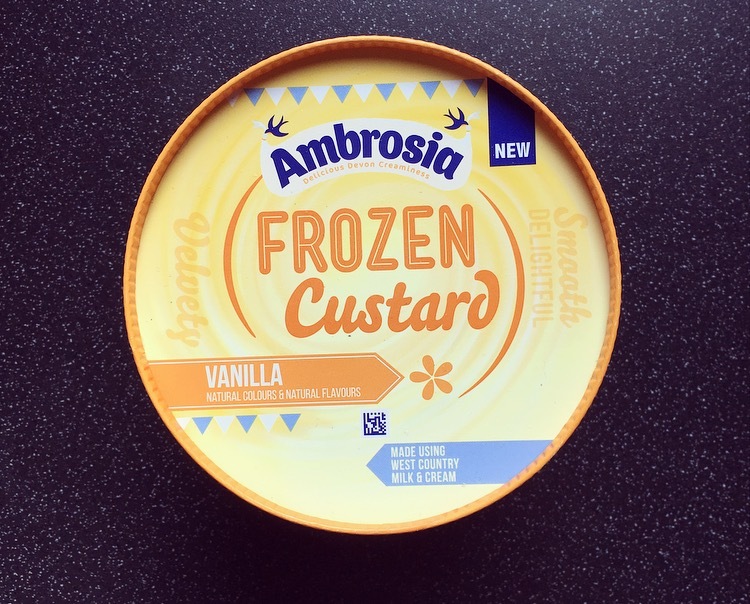 Last Sunday I was flicking through one of my magazines and spotted Ambrosia were releasing Frozen Custard in four varieties – Ambrosia Frozen Custard Vanilla, Vanilla with Strawberry Marble, Vanilla with Chocolate Swirl and Vanilla with Chunky Fudge. My excitement was pretty high, as was my fellow blogger compadres, and with an imminent release date the hunt was on! 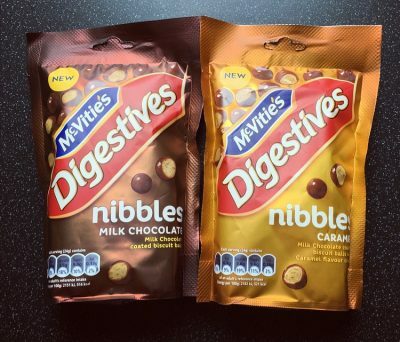 Earlier this week Nutty 1T found the Ambrosia Frozen Custard Vanilla with Chunky Fudge at Sainsbury’s (shock horror) and you can read her marvellous review here. Off the back of this tip off I visited a larger Sainsbury’s and right there in the frozen section was the Ambrosia Frozen Custard in Vanilla, hallelujah! Each tub is 850ml, considerably bigger than the tubs of Ben & Jerry’s and Häagen-Dazs. Priced at £3.25, I was a little surprised that is was not on offer given it is new on the block. With a perfect swirl on top I didn’t have to leave it out to soften (already winning on that factor alone) and it easily scooped out the tub. The colour matches that of Ambrosia’s liquid custard and was incredibly smooth and had that expected Devonshire creaminess. There was the faintest hint of vanilla present but not quite what I expected. Maybe I have been spoilt with the fresh power packing vanilla pod flavour that is present in Carte Dor, but there seemed a distinct lack of vanilla here in the Frozen Custard. 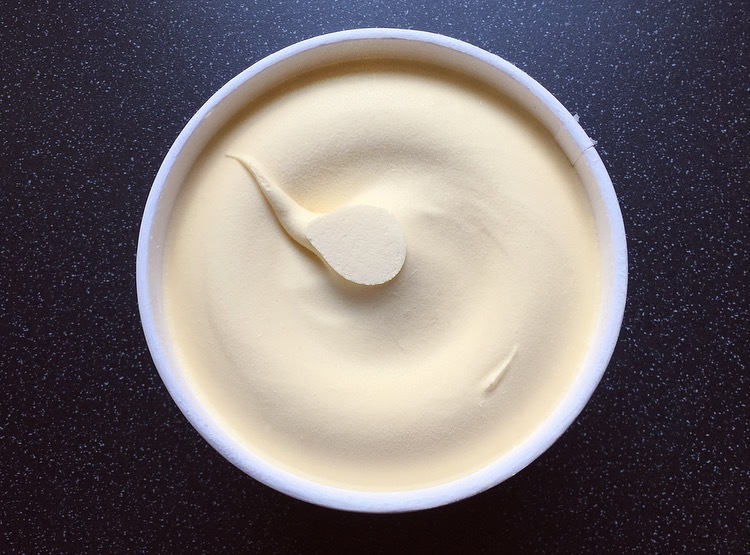 In a blind taste test you would really struggle to identify this as custard and would easily mistake it for a creamy ice cream. As it melted slightly, the runnier liquid definitely tasted like custard and I contemplated letting it all melt, but then would defeat the object of having frozen custard! All in all this Ambrosia Frozen Custard Vanilla is a lot smoother and silkier than ice cream and is less sweeter than Ambrosia Custard, which I much prefer. You only really get the custard element once it has pretty much melted, and the vanilla is pretty hard to identify. That said it is nice and I had no problem polishing it off, but put down your excitement batons because it really is a let down and it’s not what it says on the tub. Definitely not one I would buy it again. 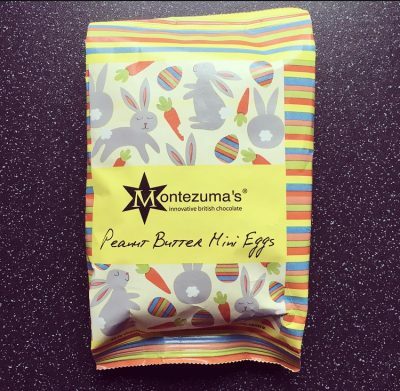 On my list to track down, I love the idea of this!